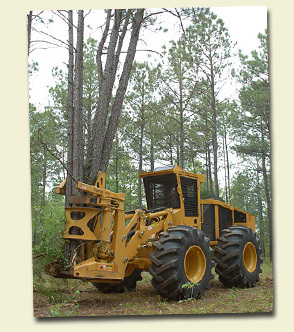 Types of Timber - Piedmont Land & Timber, Inc.
"The Forest Management Plan that Piedmont provided along with the timber harvest performed on our property has reduced our property taxes, improved the health & growth rates of our trees, and will provide financial security from our farm for generations to come. Planted pine trees are in the same category as any other planted crop, except that it takes a little bit longer to harvest the pine trees. Planted pine is harvestable starting at age 15-16 depending on the variables of the stand. This stand can be managed to produce long term financial gain. The trees within any stand of timber will vary in size, shape, age, and grade. These variables determine everything from the value to the health. When it comes time to harvest the trees the diversity of these stands will allow a landowner the opportunity to establish a wildlife forest, a residential thinning, or a tree farm. As these stands age, the landowner along with a forester can assist the timber to evolve in a direction to establish a sustainable natural resource. This is not a requirement of selling timber, but we STRONGLY ENCOURGE PLANTING! Present-Use-Value for Forestry... This program was established to help remove the pressure from increased property taxes on the individual property owner. What this program offers: Reduce property taxes by up to 80%. Piedmont Land & Timber provides all the necessary paper work to apply for this program, along with the completion of all the necessary forms for our clients to successfully be enrolled into the Present-Use-Value for Forestry program.